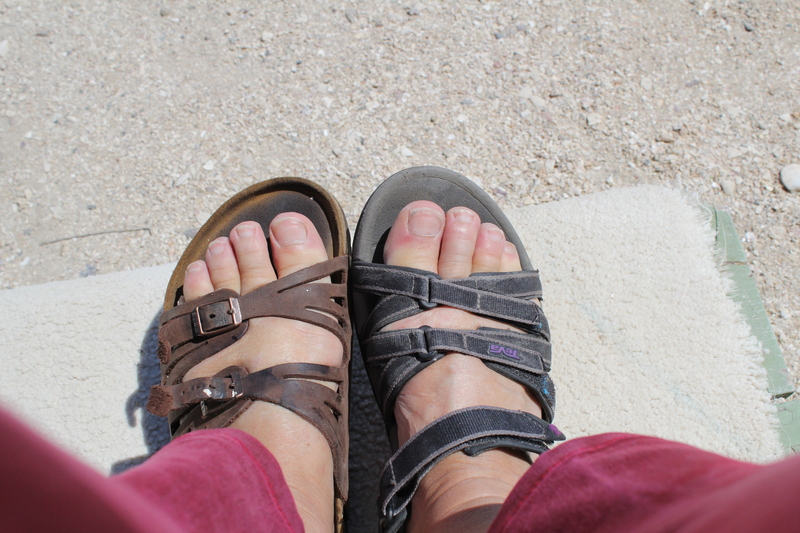 Actually it’s two right feet I ended up with – in my packing I didn’t think to check the two sandals I grabbed off the shelf. Husband, having an identical pair, I ended up with one of my right shoes, and one of his. So he has two left to match my right. Sigh, I only noticed that when I arose in San Diego, somewhat befuddled after twenty hours of travel. I tried the right one on the left foot and wondered for a few seconds if I could wear them this way, but then discarded the idea, though not the sandals. Husband will reunite me with my left shoe when he arrives and in the meantime, I can make do. Not to worry, on Olano beach La Jolla, we found a left Birkenstock sandal, and it fits. You know, if it fits, wear it. Further on I found a full pair of rather glam leather thongs,(shoe variety) and they fit too. So now I have matched or unmatched sandals to choose from. Hey I’m not proud! 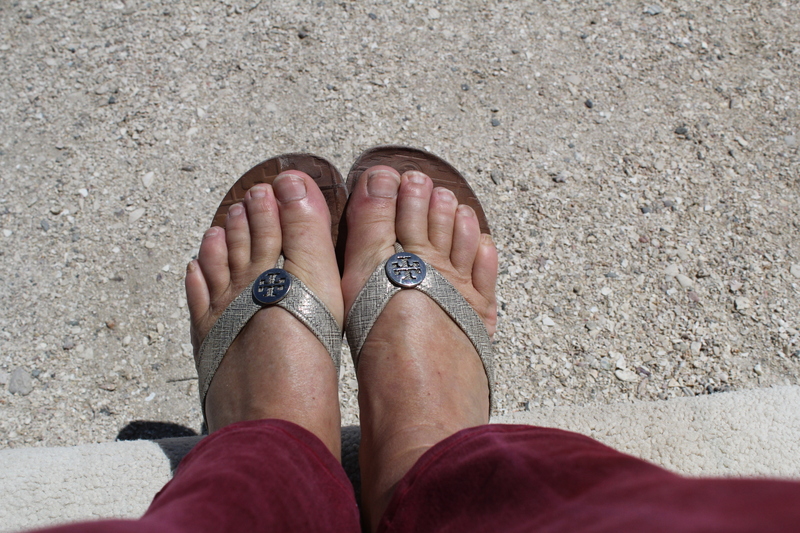 And the whales won’t care what I have on my feet, as long as it’s not flippers.PS If you’re the lady whose sandals ended up with me on my travels – my apologies. I did wait a long time to ensure that none of the ladies coming up from the beach would lay claim to them before I helped myself. And now you know, they are gracing someone else’s feet in San Ignacio, Mexico. So, we hired a van to get around for a day to checkout the beaches around SD.The coastline is quite spectacular – cliffs falling vertically for 50m to a flat beach. 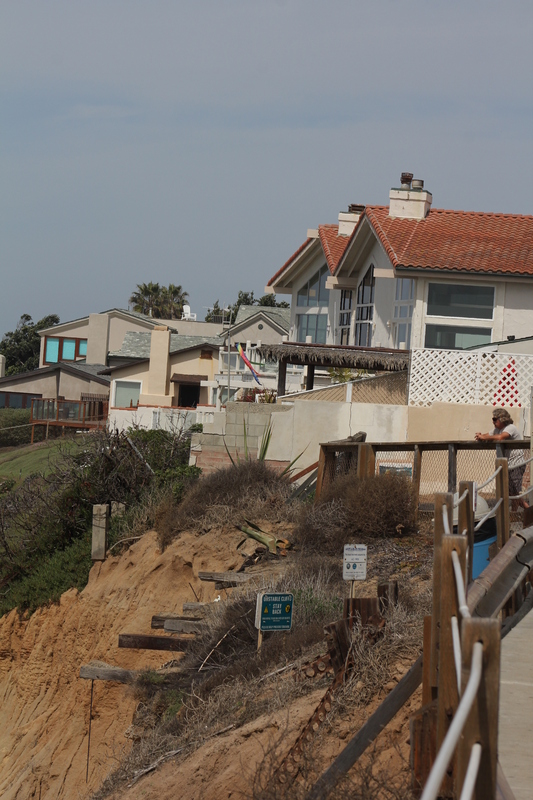 The cliffs really are falling – I would not be paying 10.5M for a house perched just feet from the edge – the whole lot look like it’s just one more blow and they all fall down. And Humpty Dumpty will DEFINITELY not be able to put this lot together again. 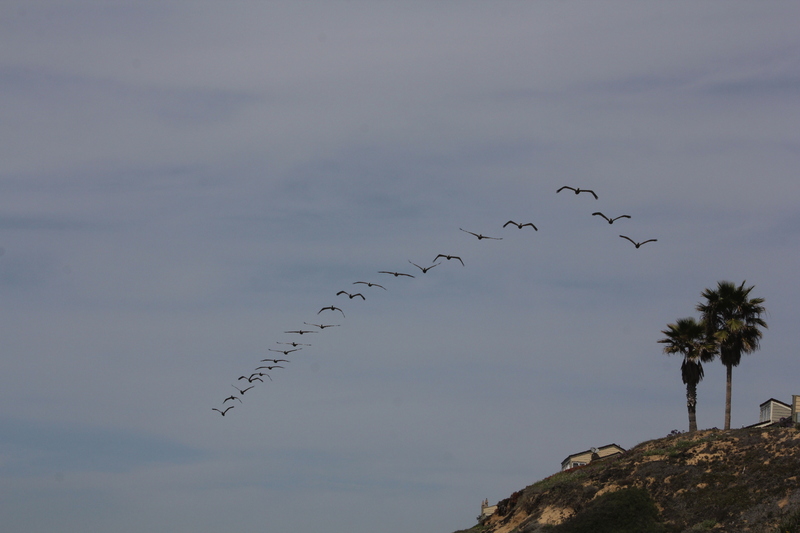 The cliffs plus an onshore breeze make ideal conditions for hang gliders and pelicans, and maybe hang-gliding pelicans. All the time we are on the cliffs, groups of 4 to 20 pelicans float their way up and the coast, effortlessly gliding the wind currents. 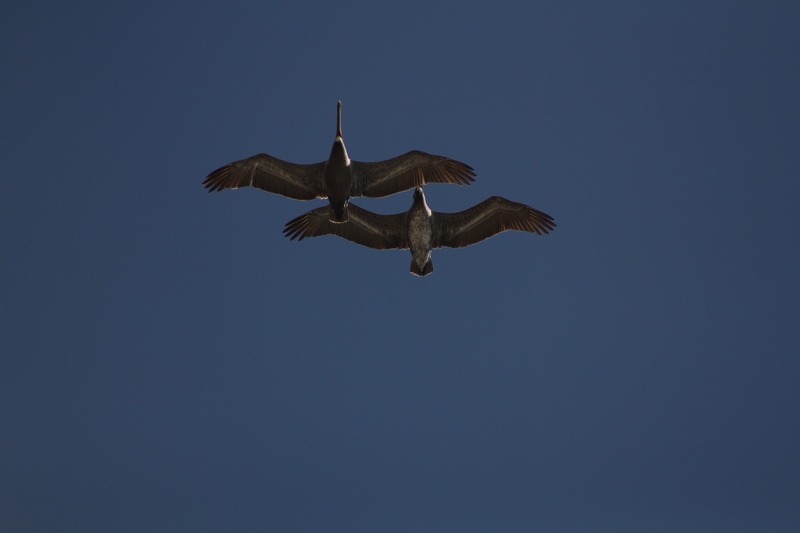 They really are a treat,but very hard to photograph – against a bright sky, and moving fast. We can but try. One of the birds coming towards us looks funny, almost like it has it’s undercarriage down. 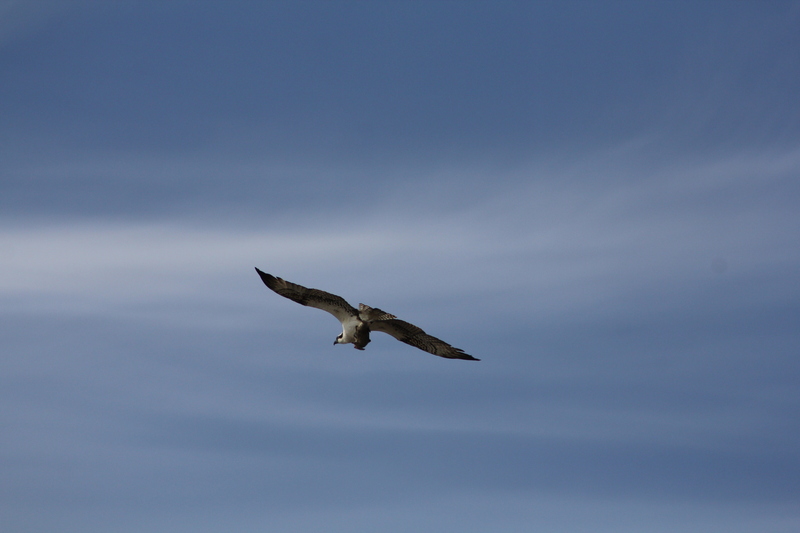 As I’m tracking it in my lens, I realise it’s an osprey with a fish in its claws – snap snap, have I got it? I hope so! Not the best shot in the world, but David Attenborough I am not.